Chinese conglomerate Baoneng Group has agreed to invest almost $1 billion for a controlling stake in Qoros Automotive Co. Ltd., a car manufacturer founded in 2007 as a joint venture between Israeli billionaire Idan Ofer’s Kenon Holdings Ltd. and China-based Wuhu Chery Automobile Investment Company Ltd., Kenon announced on Thursday. Kenon had announced the potential investment in June without disclosing the identity of the investor. The deal still requires approval from regulators and from Qoros’ lenders, Kenon said in a statement. As part of the agreement, Kenon and Chery have committed to reinvesting “substantially all of the proceeds” from Baoneng back into Qoros. 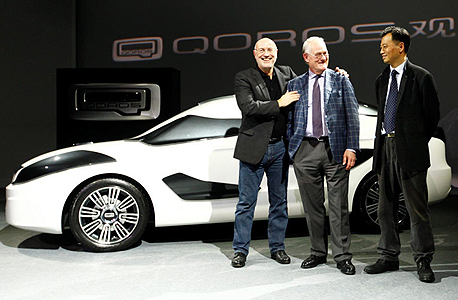 Qoros has been losing tens of millions of dollars every quarter, according to regulatory filings by NYSE-listed Kenon. Last month, the company marked a $43 million loss for the third quarter of 2017, a 39% improvement on a $70 million loss the company reported for the same quarter last year. The company also reported a 50% drop in revenue to $46 million in the in the third quarter. Car sales decreased 53% to 2,700 from 5,800 in the same quarter a year earlier. Kenon’s filings also show that Qoros has sharply cut research and development as well as marketing and sales expenses.